I. Key Provisions of Alimony Taxation Reform. A. 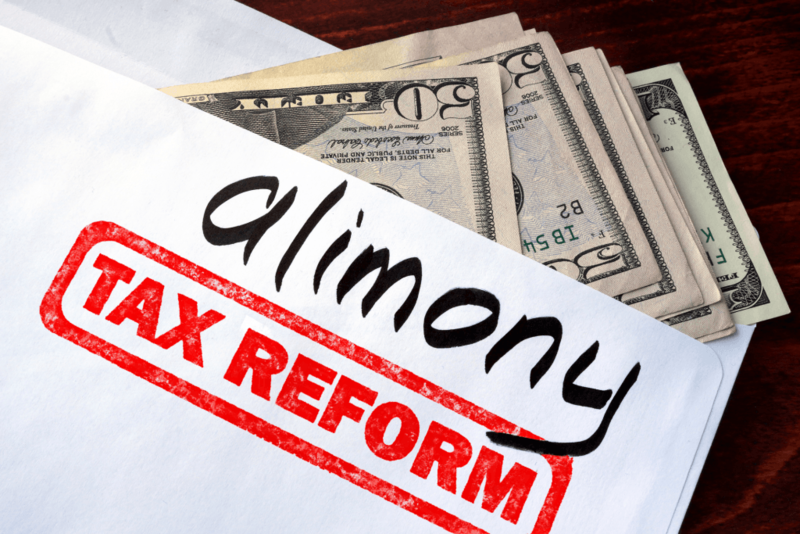 There will be no more alimony deductions for payers for alimony agreements or alimony, subject to the effective date rules of the new Alimony Statute. B. Payees will not report alimony as income if the agreement or court order for alimony, subject to the effective date criteria of the new Alimony Statute. C. Effective date: From a planning point of view, the effective date section of the new Alimony Statute is critical. The effective date has two critical parts. Part one deals with the date of execution of court orders or separation instruments requiring alimony payments. The second part deals with modifications of existing alimony orders or agreements. Let’s look first at the basic effective date. The basic effective date for the loss of the alimony deduction for payers and the no inclusion of income by payees applies only to alimony orders or alimony agreements entered/executed after December 31, 2018. This gives us approximately one year from the writing of this article to plan for alimony reform provisions. Perhaps Congress will even repeal the new Alimony Statute before its effective date as there will likely be lots of nail-biting and wailing. So, under the new Alimony Statute, if the notarized alimony agreement (in North Carolina) or alimony court order is entered/executed after December 31, 2018, the alimony will not be deductible by the payer and will not be income to the payee. The second part of the effective date has to do with modification of existing alimony orders or notarized agreements for alimony (North Carolina) after December 31, 2018. The literal wording of part two of the effective date states “Any divorce or separation instrument (as so defined) executed on or before such date and modified after such date if the modification expressly provides that the amendments made by this section apply to such modification.” I read this as an election to opt into the new Alimony Statute if the court order or the agreement was in place on or before December 31, 2018, and is modified after December 31, 2018. Under the arbitration provision of the agreement, Sally and John find themselves in October of 2019 needing a modification after John lost his job. In this scenario, John and Sally can elect under the effective date provisions for John to lose his alimony deduction and for Sally to not report the alimony as her income. It is very unlikely that John would agree to forego his deduction. However, absent an election, the alimony as modified would still be tax deductible to John as the payer and includable in Sally’s income under the old Alimony Statute.